The wine cellar is located about 500 meters from the main structure for the best access of the grapes and for maintaining control of the first stages of vinification process. The aging cellars are within the main structure and are part of the original farm and remain even today the ideal place for the maturing of the wine in barrels and tonneaux. The Vinsantaia is a warm, well-ventilated drying-room, under the rafters. Here a variety of selected grapes, harvested in late September is left to desiccate. 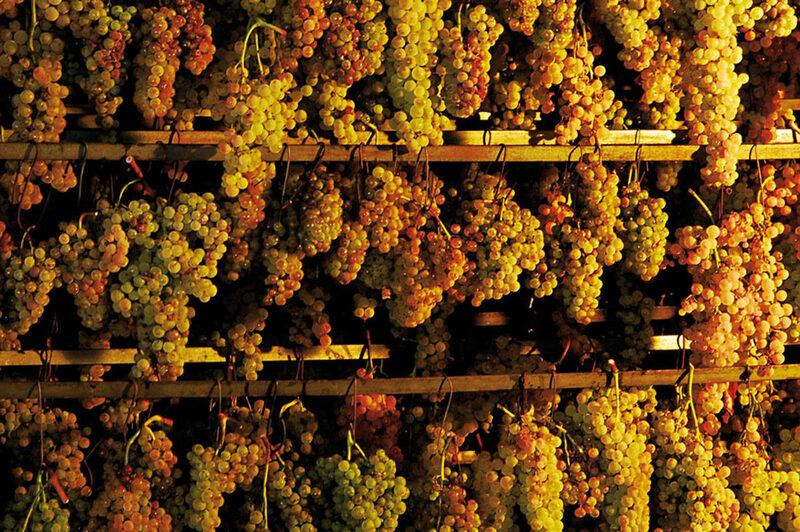 The grapes are hung on wooden and iron racks, called “castelli” to dry, and then used to produce Vinsanto (Holy wine – a typical Tuscan dessert wine). 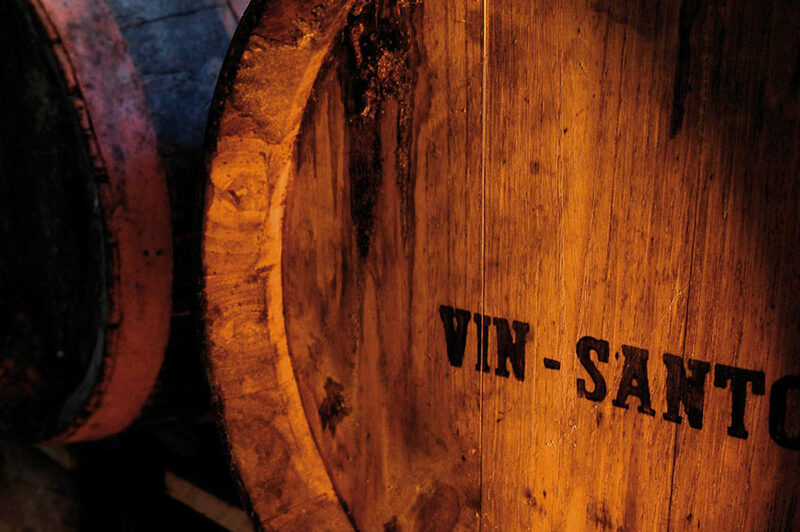 The Vinsanto is left to age in “Caratelli” small oak or chestnut-wood barrels for 4 or 8 years. 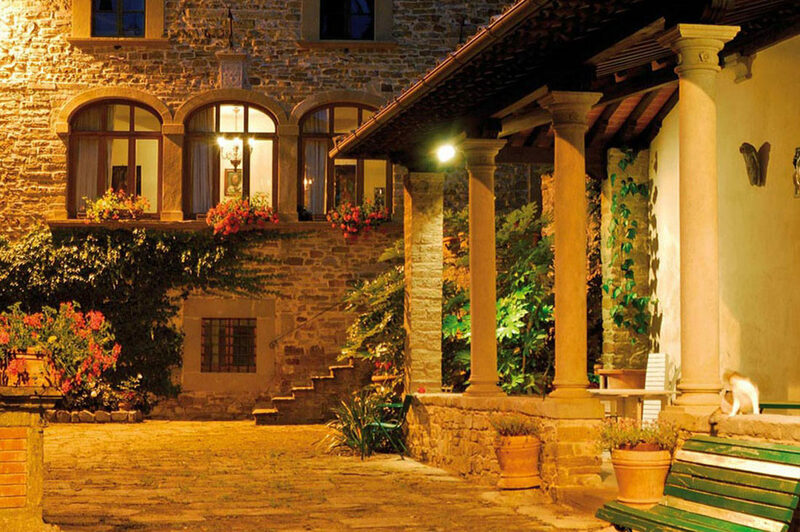 The aging cellar of the Chianti Riserva and the Macchione, is located on the ground floor of the structure and includes, in a unique and warm atmosphere, our tasting room and our wines ageing in bottles.